Originally designed in the mid-1930s as a fast airliner that could be easily adapted for the bombing role, the He 111 first saw action in Spain with the Legion Condor during the civil war. By the time Germany invaded Poland, more than 700 were in service with the Luftwaffe's Kampfgeschwadern, and they were used with devastating effect during the fall of Poland and France. However, the He 111 met its match during the Battle of Britain when over 240 were lost. 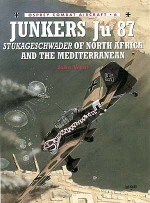 It then became a night-time pathfinder, guiding in the bigger bombers during the Blitz. Elsewhere, He 111s filled a number of roles including acting as torpedo bombers against convoys and as reconnaissance platforms. 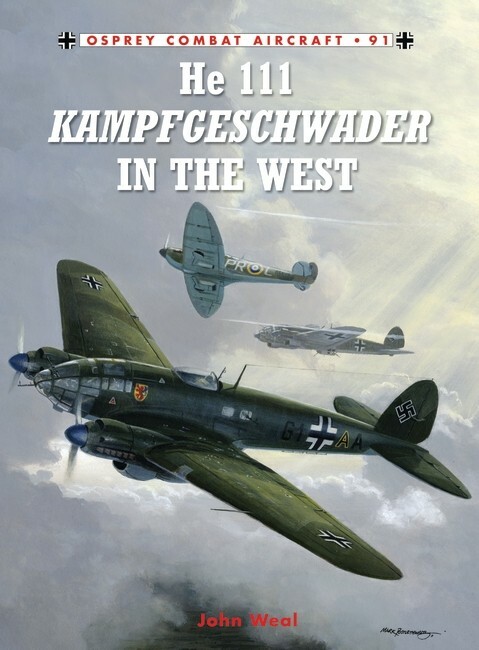 This book charts the full story of the deployment of the He 111 in the western theatre of Word War II, including their last missions as V-1 Doodlebug launch platforms. One of the world's finest profile artist, John Weal's love of German aircraft makes this work a treat for students of the subject. 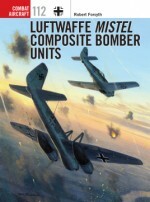 He has written three previous volumes in the Combat Aircraft series and more than a dozen Aces/Aviation Elite Units titles, all of which have been top sellers.